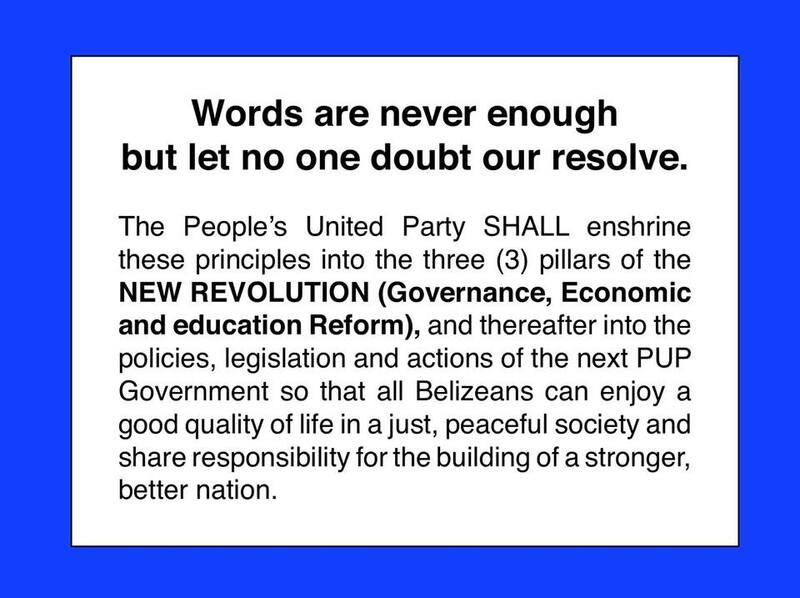 To commemorate national hero and Belize’s first Prime Minister, Right Honorable George Cadle Price, the People’s United Party (PUP) launched a Social Justice Agenda on Wednesday, January 15th at Independence Hall. The agenda was launched on what would have been Price’s 95th birthday. Price, who formed the PUP in 1950, devoted his life for social justice and aimed of the PUP to serve as a beacon for social justice in Belize. 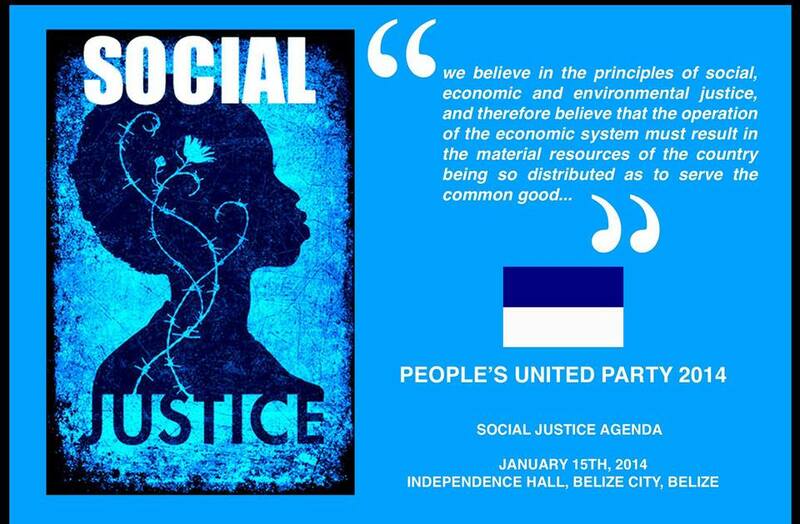 According to PUP Leader, Francis Fonseca, the launching of the social justice agenda is to celebrate the life of Price and enforce the principles on which PUP was created on. “It’s always important for us in the People’s United Party to pay tribute to the Right Honorable George Price on his birthday. It is a special duty, responsibility and obligation to keep Price’s legacy alive,” said Fonseca. 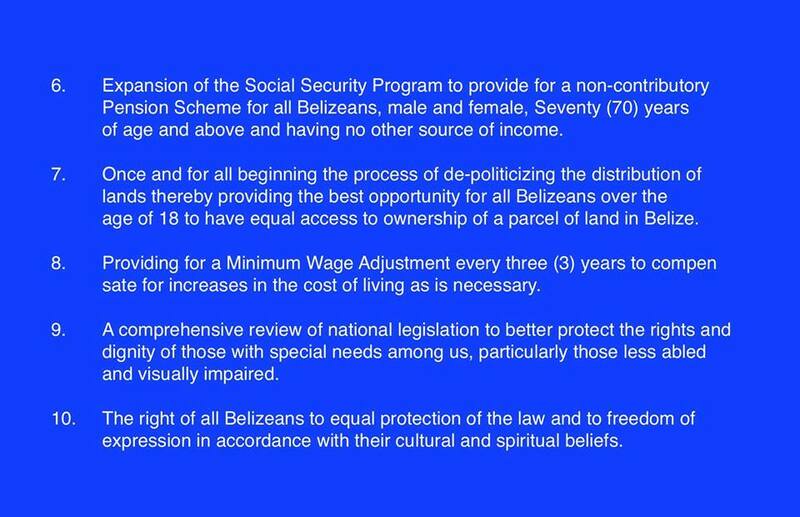 The social justice agenda has ten points geared to improve issues in poverty, education, health, employment, land, legislation, human rights and the economy. At the launch Fonseca admitted that at times the PUP have not upheld the principle on which the party was formed, and that the social justice agenda is only the first step the PUP is taking to make matters right again. The party will be returning to its roots of advocating for social justice and reforms for workers and unions. 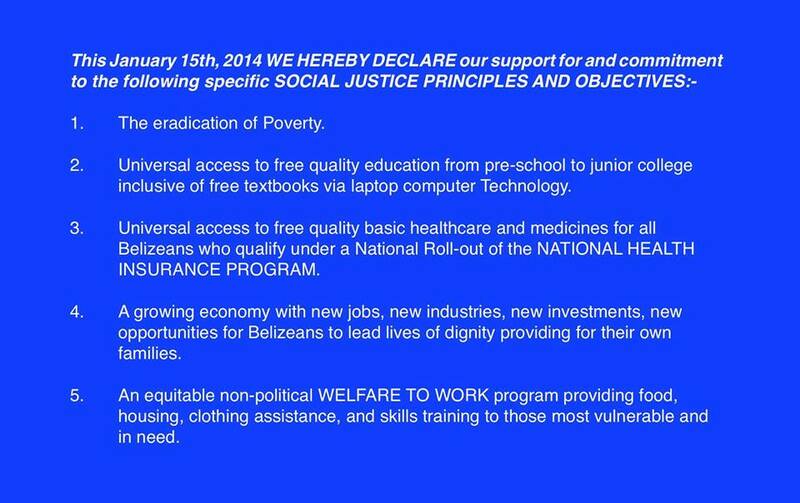 The ten points of the agenda included: the eradication of Poverty, universal access to free quality education from pre-school to junior college, inclusive of free textbooks via laptop computer technology, universal access to free quality basic healthcare and medicines for all Belizeans who qualify under a national roll-out of the national health insurance program, a growing economy with new jobs, new industries, new investments, new opportunities for Belizeans to lead lives of dignity providing for their own families, an equitable non-political welfare to work program providing food, housing, clothing assistance, and skills training to those most vulnerable and in need, expansion of the social security program to provide for a non-contributory pension scheme for all Belizeans, male and female, seventy (70) years of age and above and having no other source of income, once and for all beginning the process of de-politicizing the distribution of lands thereby providing the best opportunity for all Belizeans over the age of 18 to have equal access to ownership of a parcel of land in Belize, providing for a minimum wage adjustment every three (3) years to compensate for increases in the cost of living as is necessary, a comprehensive review of national legislation to better protect the rights and dignity of those with special needs among us, particularly those less abled and visually impaired, and the right of all Belizeans to equal protection of the law and to freedom of expression in accordance with their cultural and spiritual beliefs. 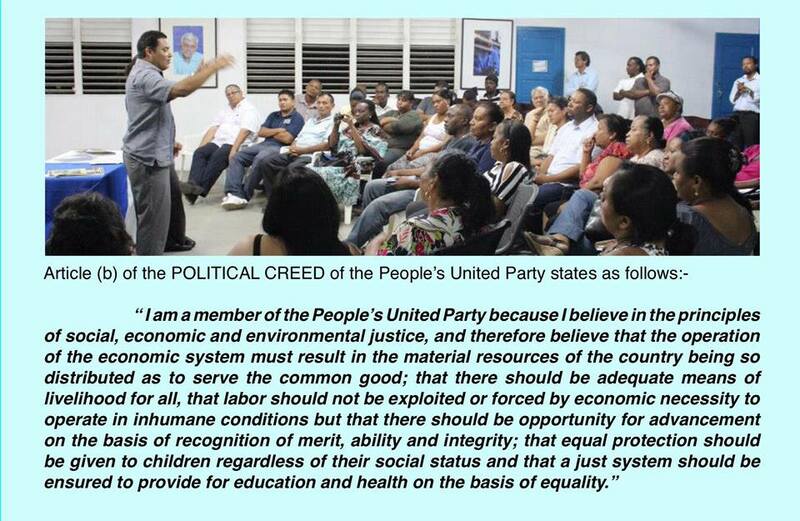 Fonseca stated that the PUP will be addressing the criticism to the agenda with actions rather than words. “We are making them (social justice agenda) public. We advance the discussion on these very issues and these proposals, these principles and objectives haven’t come out of thin air. They have come out of our own discussions and travels across the country, meeting with people, but we want to strengthen them, we want to widen the discussion. We will work together with the people to implement and enact this social justice agenda for the benefit of the people,” said Fonseca. 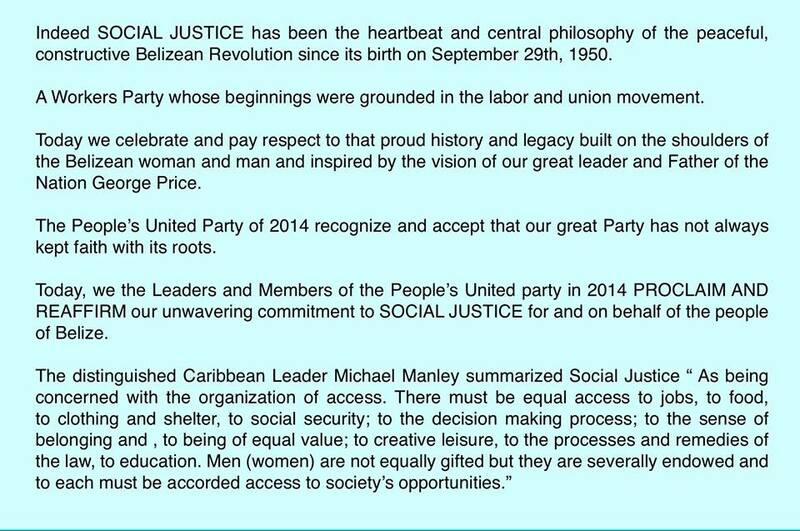 To view the social justice agenda visit www.pup.org.bz.